Okay all, it’s time for Europe to come out with yet another supercar. Not that we’re complaining, especially since it seems to be extremely hot to trot. 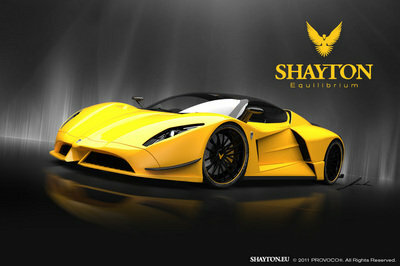 The new supercar comes from Shayton Automobile and takes its inspiration from the rushing elements of nature. "Shayton is a new God, the God of speed and performance. Faster than wind, more powerful than storm and as beautiful as if it was shaped by supernatural forces themselves." Shayton actually means "falcon" in Sioux Indian, so we’re guessing that their first supercar - the Equilibrium - is set to take on the prey that is the other more successful supercars of Europe. The Shayton Equilibrium looks the part of a predator with its aggressive lines and muscular stance. Its power is also something to be reckoned with as the Equilibrium is ready to attack with a V12 engine that shoots out 1084 hp. This isn’t your typical walk in the park; this is a 0-60mph sprint time of 2.9 seconds and a top speed of 250mph. Yeah, it looks to be that good. Hit the jump to read more about the Shayton Equilibrium. The lead designer for the Shayton Equilibirum was Andrej Stanta who says that the function added to this particular piece of art is what makes it a masterpiece. The Equilibrium has a carbon titanium chassis which is then dressed up with muscular and aggressive lines that are cut by large side intakes. The shape of the body provides an elegantly macho look to the supercar while allowing for low air resistance. 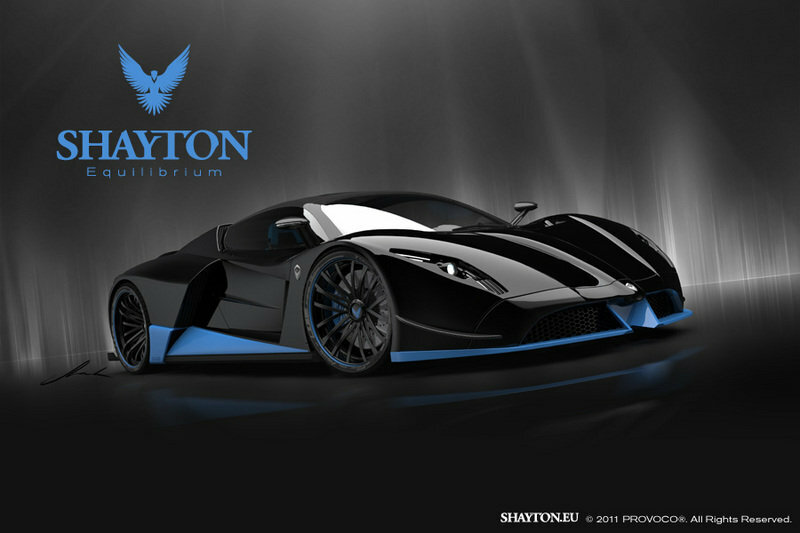 Carbon titanium wheels complete the look of the Shayton Equilibrium. Inside this new animal is a sporty and elegant interior consisting of leather, alcantara, carbon fiber, brushed aluminum, Recaro seats, and Bosch electronics. The interior is dominated by a driver focused cockpit architecture which means that everything is set up to ensure a driver/owner ultimate driving experience when the Shayton Equilibrium is pushed to its limits. Under the hood of the Equilibrium, we will find a V12 engine that can battle with the best at 1084 bhp and a peak torque of 930 Nm at 5000 rpm. 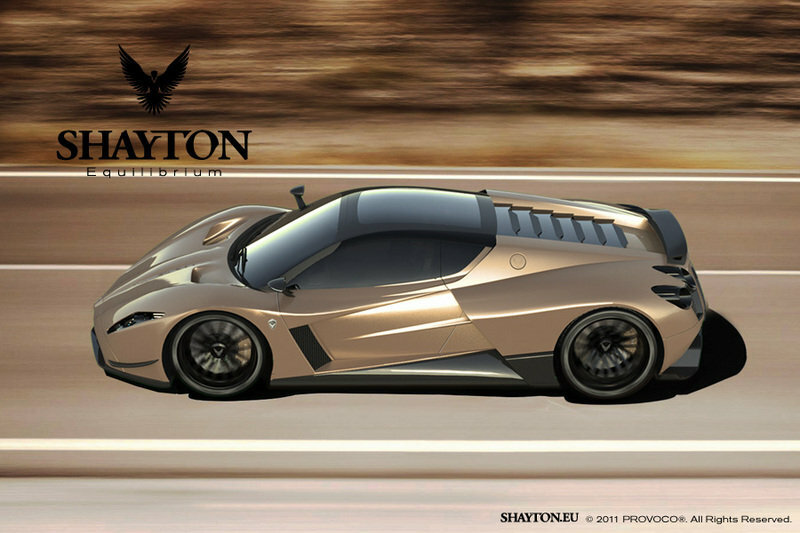 With a total weight of 1200 kilos, the Shayton will deliver a power-to-weight ratio of 1.42 kg/hp. 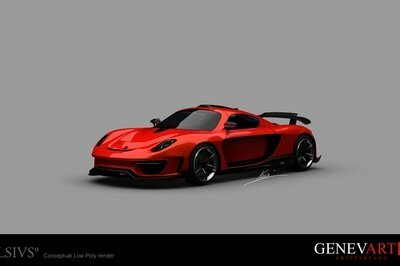 This allows the super car to sprint from 0 to 60 mph in 3.1 seconds and hit a top speed of 250 mph. Pricing and availability is where things get a bit rocky for this predator as there will only be 20 units made available with a double-take type price of 1,000,000 euro, or $1,400,000 at the current exchange rates. 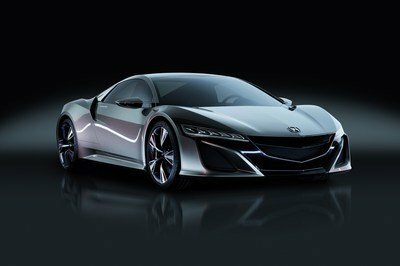 That may be a little steep - scratch, unbelievably steep - for our wallets, but the supercar hasn’t even made it to production as of right now so we all have time to save up the cash if need be. 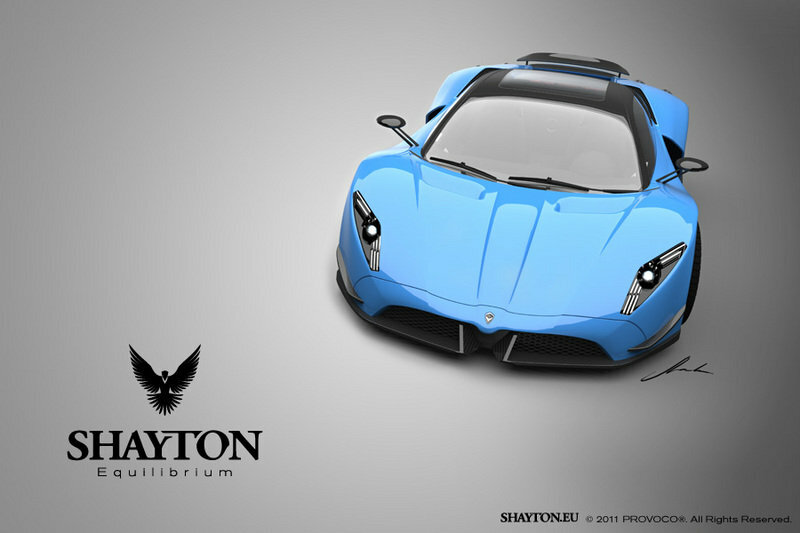 The company is already accepting preorders for the Shayton Equlibrium so if you have the money and an optimistic view for production, then you better give Shayton a call fast. With a total output of 1084 HP and a price of $1,400,000, the new Shayton Equilibrium seems to be targeting the King of Speed: the Bugatti Veyron. We might even have to go as far as saying the Equilibrium may have a leg up on the competition in terms of appearance. The Veyron is powered by a W16 alloy engine that delivers 1001 HP and a peak torque 923 lb-ft. 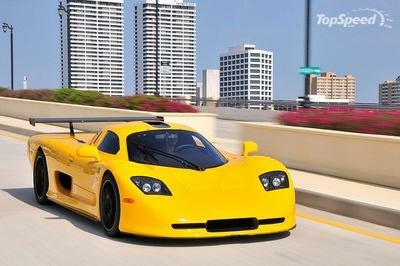 It is capable to hit a top speed of 252.3 mph and will sprint from 0 to 60 mph in less than 3 seconds. The power may be lower than the Equilibrium, but the performance seems to hit right on. The Veyron is also priced higher than the Equilibrium with a price tag starting at $1.7million. But, alas, Bugatti is a very well-known manufacturer and the Veyron has a tried and true track record, which leaves the Shayton Equilibrium with the task of proving to everyone that it can stalk and kill its competition. Who’s ready to take a chance? finaly there is some one more autentic coz is not using the sbc engine but im curious then where this v12 engine comes from ? well i would guess by my knolege that it might be eather a bmw of a mercedes one they arte great engines but not the best any how to the poit the car is very very beautiful hoppe you the best sales keep pushing cos the car is sweet. I like the look of the car which is very elegant. 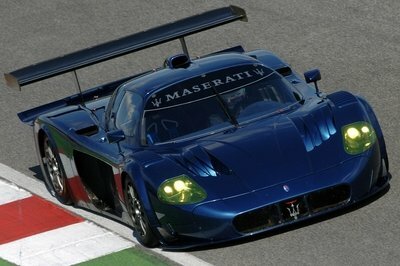 Moreover, the used engine which is V12 offers a very powerful output! 1000+ HP will surely be great for every sports car, but I think the reputation is some kind of low. Well, the Equilibrium actually looks well built enough for it to attract a lot of folks. The major car makers will definitely have a stiff competition with this one. The Equilibrium looks speedy enough and is quite promising, but I don’t know if it will be able to gain the attention of supercar enthusiasts immediately. This one kinda reminds me of the Lamborghini Gallardo. But this one actually looks rather impressive in its own right and is elegant looking.